Cosmina Doiciulescu is the founder and current president and chief executive officer of Chatterbox Theatre. She is applying not only her professional business expertise, but also her creativity and love for children and the arts, bringing to life the wonderful experience of Chatterbox Theatre. She holds an MBA degree with a major in Finance and a minor in Strategy from the Mariott School of Management at Brigham Young University in Provo, Utah. Prior to founding Chatterbox Theatre, Cosmina held leadership roles and managed large teams for several corporations in North America, Europe, and Asia. 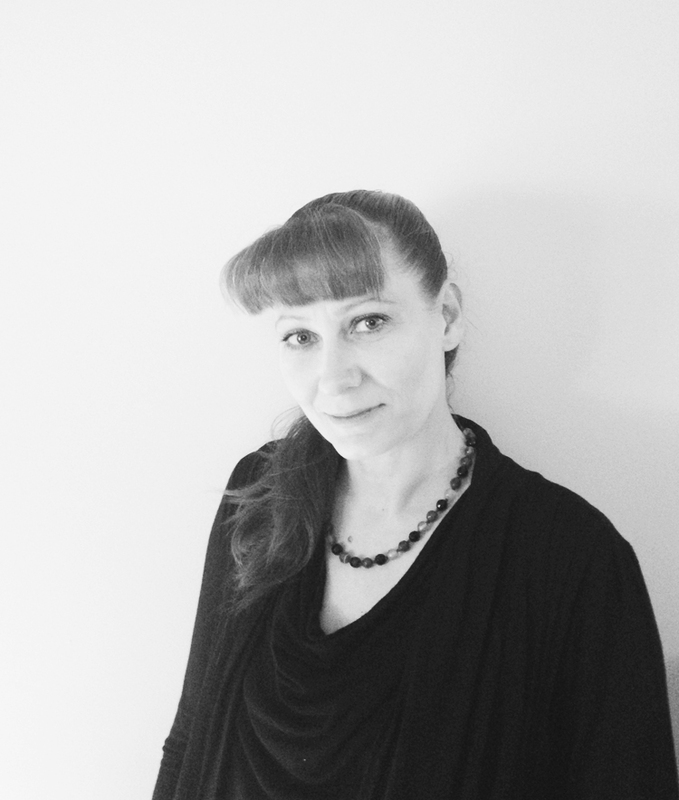 Cosmina is passionate about developing solutions to help organisations succeeed. For this reason, she has focused on innovating and optimising business processes for all the organisations that she has served. Her innovative nature also inspired her to design and implement the new interactive concept of children’s theatre performed by Chatterbox Theatre today. Beside her passion for business and organisational development, Cosmina is also interested in developing Calgary’s artistic sector. She believes in the great potential of many local young artists, and she is determined to offer her full support to promote them as valuable assets of the community. Cosmina is a mother of two and a Calgary South community member. She is concerned with the wellbeing of her community with a focus on the youth sector. Over the years, she has initiated projects in her community, offering support to different groups. Jelena Bagaric-Mandic is a seasoned teacher, entrepreneur, and performer, complemented by a keen interest in the arts and culture sphere with graduate-level education in arts and culture management, cultural planning, and board governance. She offers a deep understanding of the business and artistic aspects of events, from funding to marketing and human resources. Jelena excels at building relationships with people from all cultural and organisational backgrounds as demonstrated through extensive experience in working all over the world in the arts. A seasoned arts professional, she holds a BFA in Dance and an MA in Arts and Culture Management. Jelena has worked as a professional ballerina and choreographer in both North America and Europe. She is experienced as an artistic director as well as ballet instructor. After transitioning from a career in performing, she has focused on teaching, including at the University of Calgary and School of Alberta Ballet and other local groups. She is active as an arts administrator and event planner, both as a career and by volunteering with non-profit organisations. Stefanie Wei is a treasurer and sits on the board of directors at the Chatterbox Theatre Society. She is a Chartered Professional Accountant and Chartered Financial Analyst and currently works in the investment management industry. Stefanie received her Honours Bachelor Degree of Computing and Financial Management from the University of Waterloo. She also earned her Masters in Quantitative Finance from the University of Glasgow. Previously, she was employed at PWC Consulting in Toronto where she provided advisory services on risk measurement and management. Prior to that, she also worked within the Systematic Asset Solutions team at Aberdeen Standard Investments in Edinburgh. Having travelled to a dozen countries in Europe, Stefanie is thrilled to help bring the power of performing arts to the early childhood development of Calgarians. She spends her free time exploring the Rockies, doing photography, and volunteering in local communities. She was a past board member of the Glasgow University Consulting Society and was a participating artist of the Calgary Art Walk. Shari Tardif is a childcare owner and educator whose primary focus is on the development of young children in Calgary’s communities. She positively affects children by empowering them with skills so they grow and thrive in today’s world. She holds a B. Comm. degree, which has helped facilitate the management of all aspects of her business. Shari has guided and molded young minds in the community for over 10 years. She is passionate about the development of children and continues to provide them with constant support, empathy, and direction. As a board member of Chatterbox Theatre, she continues to positively influence children in the community as it creates an outlet for expression, learning, and building confidence, ultimately empowering children. Prior to her many adventures with the youth of Calgary, Shari has also attained a B. Comm. degree in Accounting and has 20 years of proven business management skills, including sales and marketing, human resources, finance, and administration. Shari enjoys a healthy lifestyle with her two daughters and supportive husband and loves exploring and diving in the Caribbean. Whenever she needs a pick-me-up, her kids are armed with funny cat videos to lift her spirits. Kim Glenn is a born and raised Calgarian and current Director of Human Resources for TFI International, the largest transportation company in Canada. Kim has an extensive background in all facets of human resources and labour relations. Working for two large organizations in her career, she has been fortunate to oversee a multitude of compensation programs, policies, and benefit and pension plans. Although Kim’s formal education was in the Certified General Accountants program at SAIT, she has made a rewarding (and much more fitting) career in Human Resources. Kim has recently completed the criteria to become a qualified Arbitrator with the Canadian Institute of Arbitrators, which furthers her labour relations education from Queen’s University. Kim is a lover of the arts. She is an active volunteer with charities involving children and animal welfare. She is also an avid scuba diver and spends all of her personal vacation time travelling to the opposite end of the world to swim with rays and sharks.